The trick is turning all those good feelings about oceans — and the charismatic sea creatures we all love: whales, sea turtles, sea stars, to name a few — into real urban policies and plans that protect oceans. Beatley points to a few examples of local governments that have taken the lead, from San Francisco, with its ban on plastic bags; to Hong Kong, with its burgeoning movement to stop the consumption of shark fins; to Wellington, New Zealand, which has forged a deep and sustainable connection with its coastal environment. Still, Beatley thinks most cities can go much further than they are now, creating “blue belts,” to protect ocean spaces in the same way cities create designated “green belts” on land. Ocean sprawl has had terrible impacts. Those huge gyres — garbage patches — will continue to grow for the next 500 years, even if we stop putting any plastic in the ocean right now. Coal-burning power plants send huge amounts of mercury into the oceans. Here’s just one scary stat Beatley cites: “A recently released United Nations Environment Program report documents a doubling of mercury levels in the top 100 meters (300 feet) of ocean water over the past 100 years.” Then, there are events like the Deepwater Horizon spill. Too many cities don’t understand their connection to oceans. Beatley explains how a number of local non-profits are trying to change that. In Seattle, a group called Beach Naturalists is helping locals understand the magic of their coastline. “The program trains several hundred volunteer naturalists in the ecology and life found in the intertidal zone, and these volunteers patrol the city’s parks to help people understand more about life in tidal pools.” And then there’s the group called LA Waterkeeper, which aims to build awareness of the massive kelp forests just off the coast of Los Angeles. Did anyone know they were there? 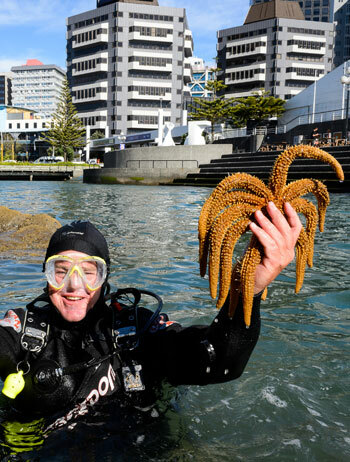 Returning to Wellington, New Zealand, Beatley explains how that city has “created a new marine reserve on one of its shores, a marine education center providing children and adults alike the chance to touch and see marine organisms, the world’s first marine bioblitz (engaging the citizens in the recording of marine biodiversity), and a powerful new vision of its ‘blue belt,’ a complement to its historic and prized greenbelt system.” Imagine if New York City, Los Angeles, San Francisco — and all the major coastal cities around the world — took their marine environments as seriously as Wellington does, and actually extended the marine world into the city. 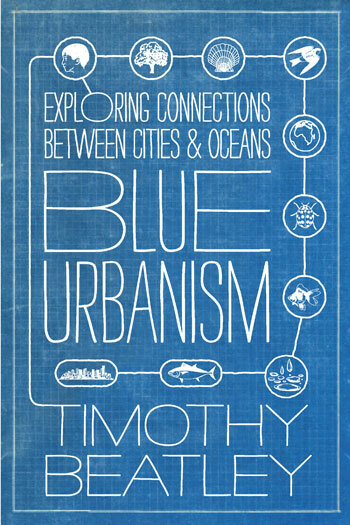 In a few sections of the book, Beatley dives into what blue urbanism looks like. 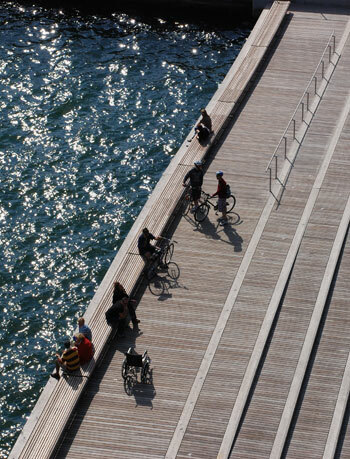 Of interest to planners, architects, and landscape architects, he outlines how the “redesign of buildings and public spaces to foster resilience to climate change and rising ocean levels” can also extend “urban spatial planning and conservation into marine environments.” He points to innovative examples in Singapore, Rotterdam, Toronto, and Oslo. Read Blue Urbanism and check out the review of Beatley’s earlier book, Biophilic Cities. This seems very timely especially with the trend of having the majority of our population living closer to the coast and the dangerous mix of high populations and fragile marine environments. Would be a very interesting read!